Approx 350 sq. 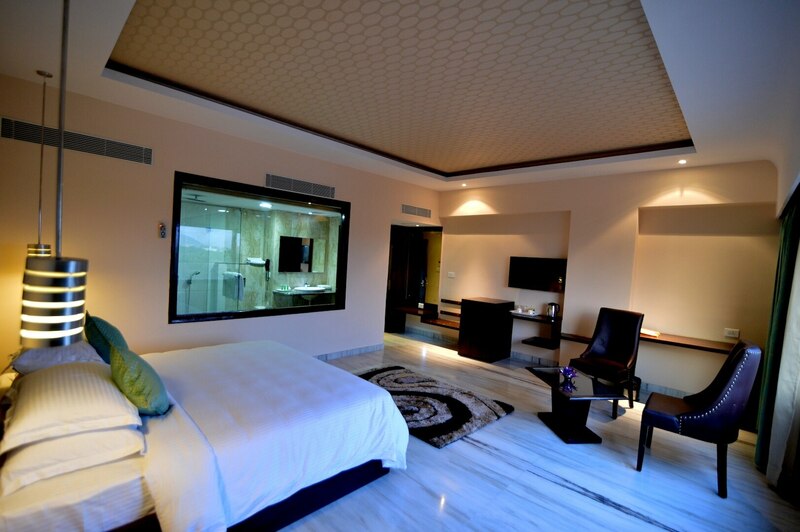 ft. Club Rooms at Q Hotel Udaipur, are well-appointed with modern amenities and comfort. It comes complete with a host of amenities including a work space, comfortable bed. Complimentary 02 Bottles of Mineral Water (500 ML), Tea/Coffee Maker, Mini Refrigerator, Iron and Ironing Board on Request, Electronic Safe, DVD Player & CD's on request, Hair Dryer, Shower cubical, Hi-speed Wi-Fi, LCD TV with satellite channels, Fine Herbal toiletries.